Every year the Convention on International Trade in Endangered Species of Wild Fauna and Flora (CITES) and the United Nations Development Programme (UNDP) declare a theme for World Wildlife Day and in 2019, it’s marine life. Our natural resources and our wildlife is in danger, so this day, every year, is set aside to bring awareness to the issue. We know of roughly 228,450 species that live under the water, and scientists estimate that there are probably over a million or two million more that we have yet to identify. The oceans and seas on earth regulate our climates, produce oxygen, and provide food, and the animals living there are an important part of the ecosystem to keep those things happening. Instead of protecting that environment, over 18 billion pounds of plastic waste alone are tossed in the ocean every year. Over 1/3 of our fish stocks are overfished, which leads to species becoming endangered and dropping out of the ecosystem. And offshore drilling for oil, a practice which is about to increase in volume thanks to (American) governmental plans to allow it in the Atlantic, involves seismic air guns shooting giant blasts of sonar at the bottom of the ocean, an event which frequently kills animals. All of these things are just the tip of the iceberg for the troubles marine life face, but they’re all things we can stop doing, or at least minimize. I’m sure you know about the typical marine life – whales, dolphins, tuna fish. But have you seen some of the coolest things that exist under our water? A single blue parrotfish (or any parrotfish – the blue is just so pretty) can turn 1 ton of coral into sand every year. If you like sandy beaches, thank this guy. 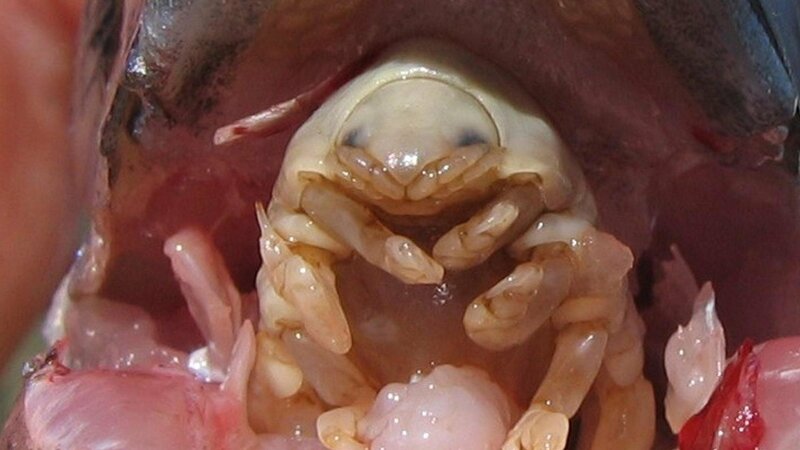 The sea pig is a species of sea cucumber that spits its intestines out at predators. They clean up the sea floor and release oxygen. So this little pink blob helps you be able to breathe. The immortal jellyfish can, rather than dying, revert back to its polyp form and live life all over again. Studying their cellular regeneration may help scientists cure cancer. The mantis shrimp can slam his claws together hard enough to essentially boil everything around him for dinner. They are very sensitive to pollution and are excellent bioindicators of the health of the area. How freaking adorable is this tiny guy!? The Blue Dragon Sea Slug, although they are less than 3 centimeters long, eat Portugese Man O’Wars and store their stinging cells to use against potential predators, which is just bad-a**. The mola mola is a giant (6 foot) fish that is…well, fairly useless. They’re not good at swimming, they’re not tough, and they’re pretty weird looking. However, they are pretty good friends, forming symbiotic relationships with other fish and birds, providing them with food. The tongue eating louse is a favorite of mine. I first learned about them from Cracked.com and then in my zoology class, the fish I dissected had one (Jackpot! I was sooo excited). They crawl in through a fish’s gills, and attach to the tongue, essentially replacing it in use. In heavily fished waters, nearly 50% of the fish may have these creepy little guys in their mouths. But look at his little face! And just for fun…here’s a close relative of his who can grow up to 20 inches long. That is gross. Let’s look at something cuter. Oh yeah, that’s a Dumbo Octopus. How adorable is he? We don’t know a whole lot about them, but we do know they eat isopods like the louse above – that’s enough reason to want to keep them around, right? Ok, let’s see…I’ve told you the problem, I’ve tugged your heartstrings…but really what can you do? I’m not going to tell you to give up buying anything packaged in plastic, or to stop putting oil in your car, or to go vegetarian. Let’s be real, your life is not the problem here. You, one person, do not use 18 billion tons of plastic every year. You, one person, don’t eat enough fish to endanger a species. While it certainly helps to minimize your plastic use where possible, those aren’t the ways you can help the most. This is the easiest way if you can afford it. Donate to marine organizations that are working to help the oceans on an international level. Give them money so that they can hire the best scientists, fund more research, and fight the corporations who are the real problem. If you can afford it, don’t support companies partaking in damaging processes. Buy sustainable seafood. Shop with companies that try to minimize their packaging. Don’t support companies that lobby for fewer environmental protection laws. If these companies don’t have your money, they tend to figure out why. And when enough people boycott or change their spending habits, the companies change their processes. Get out there and put in the time. Join a wildlife monitoring program. Check your local water quality. Clean up your local beach. No money and limited time or access to the ocean? That’s fine. Talk. Talk to people at work, people at the grocery store, your friends, your family. Learn as much as you can about ocean life and ocean issues, and tell others. Get them interested. And yell. Yell at the companies that are the real perpetrators behind the pollution. Yell at the government that is trying to make offshore drilling more acceptable. Yell as loud as you can (or write letters and send emails and attend protests, if you actually want them to listen. Yelling mostly just gets you kicked out of places). Make a stink over every animal that dies from an oil spill. Point out to people that the fish they are about to eat probably had a tongue parasite. The most important thing you can ever do for a cause is get loud, because awareness and getting others to join the fight is how we change things. So yell.